Purple shep herps and derps. 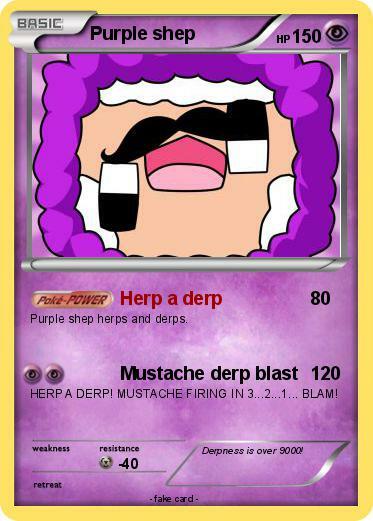 HERP A DERP! MUSTACHE FIRING IN 3...2...1... BLAM! Comments : Derpness is over 9000!